Reni refused to do an encore at the Stone Roses' Amsterdam show because of "irritations" with sound. 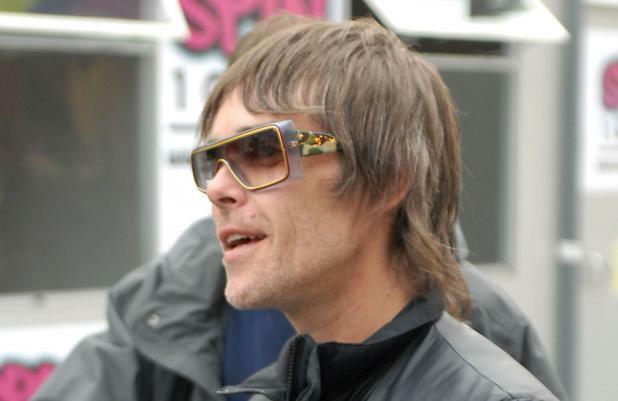 The group's comeback was thrown in to doubt earlier this week when the drummer apparently "went home" and refused to do an encore, prompting frontman Ian Brown to call him a "****" from the stage, but insiders insist there are no lasting problems with the 'Fool's Gold' hitmakers. A source told The Sun newspaper: "Reni had been having a few issues with sound. Nothing major, just irritations. "He didn't want to play an encore, the Roses rarely do. "Ian was so chuffed with how the show had gone though, he was desperate to go out and give the fans a bit more. "The gig had been brilliant up until that point. "The fans were disappointed they didn't get a 14-minute version of 'I Am The Resurrection' but that's no hardship after the show they had seen." Following their main set, the group - which also includes bassist Mani and guitarist John Squire - had been expected to return to the stage to perform 'I Am The Resurrection', as they had done at a show in Barcelona, Spain, recently, but fans were left confused when only Ian came back out. He told the audience: "I'm not joking, the drummer's gone home. Get all your aggro out on me, I can take it." He then reportedly added: "What can I say, the drummer's a ****." The remainder of the group's comeback shows - which include three consecutive hometown appearances in Manchester at the end of this month - will go ahead as planned.